A syndicated technology journalist and senior web designer with a passion for cellphones. It seems obvious that text messages are only allowed between mobile phones. Or are they? This begs the question: what happens when you send a text message to a landline? Landline texting isn't supported with all mobile carriers, so texting a landline might not always work. If your number is blocked by someone with a landline, too, text won't go through. However, some carriers that do support the option to convert a text into a voice message for a landline. If you're using an Android phone, the information below should apply no matter who made your phone: Samsung, Google, Huawei, Xiaomi, etc. The process of texting a landline from a mobile phone is basically a mixture of texting another cell phone and calling a landline. However, the steps involved, and the price for the service, might differ slightly between mobile carriers, so be sure to read through the section below that pertains to your carrier. The basic idea is to text the landline number like you would any other cell phone. Once sent, your text is converted into a voice message so that it can be heard over the phone. When received, the landline recipient will hear your phone number at the beginning of the message. If they answer and respond, their message is sent back to you. If they don't, your text/audio message is left on their voicemail system. Sprint charges $0.25 per text message that you send to a landline. However, this isn't a hidden charge — you have to opt-in to the feature and accept the charge before you send the message, so don't worry about this accidentally racking up your phone bill. For example, after you write out your first text message and enter the 10-digit landline phone number to text/call, you'll get an opt-in text message informing you that your note will be converted into a computerized voice for a landline phone to receive. Upon successful delivery of a text-to-landline message using Sprint, you’ll get a confirmation text on your phone. The message will tell you how your text was received and if the recipient left a voice response message for you. You can read what Sprint has on their landline texting feature for the most up to date information. The text to landline feature available for Verizon Wireless phones is said to be available "with most White Pages listed phone numbers in the US. "That is, the service is only functional in the US and doesn't work with all wired phones. The way this landline texting feature works is the exact same as Sprint's service. Just enter the phone number as you would when texting any number, and provide a message that should be converted to audio. If the recipient responds, you'll get a text message with a number that you need to call within 120 hours to hear the reply. You can text multiple landlines at once just like how you can send a group message to other cell phones. However, take note that you will be charged separately for each and every landline number that you send the text to. 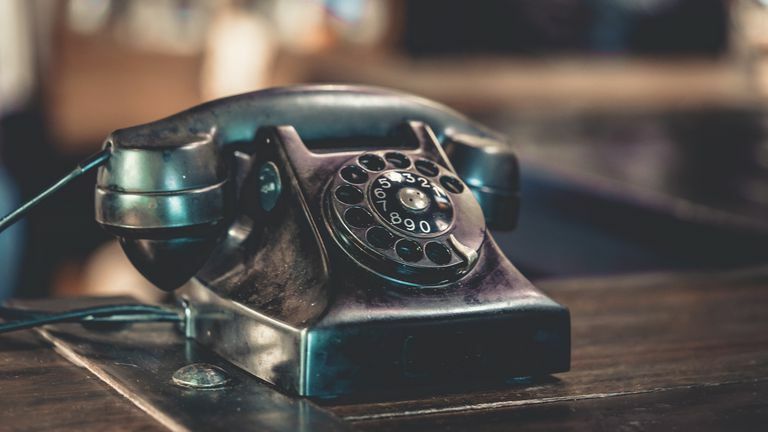 For each number that you text, you'll have to accept the Text to Landline fee (which you'll be prompted to accept over text) unless you've already sent a message to that landline number before. So, if you send a message to five landlines at once and you've already messaged four of those numbers before, you'll only have to confirm the fee for that last one — you'll be charged for all the other numbers automatically since you've already agreed to be charged for those numbers. To make Verizon stop automatically charging you for text to landline messages to any given number, send a text to the number 1150 that says "OPT OUT" and includes the 10-digit number that you want to stop texting (e.g. OPT OUT 555-555-1234). $0.25 for each text you send to a landline (even if the recipient doesn't answer). $0.25 for each reply message that you listen to. You are not charged if the message fails to send. You are not charged when Verizon asks you to accept the Text to Landline feature for the number you're texting, nor when you reply back to accept the charge. It's free for the recipient to accept a text on their landline phone. See Verizon's Text to Landline FAQs if you have any other questions about how this works. Texting a landline from a Virgin Mobile phone is supported in the United States, Puerto Rico and US Virgin Islands. The cost for this service, just like with Sprint and Verizon, is $0.25 for each text. Also identical to the carriers mentioned above is how you send landline texts on Virgin Mobile. Just enter the 10-digit number and write out the message you want to be spoken over the landline. Why Isn't My Mobile Carrier Listed Here? If you haven't realized it already, the initial process for texting a landline is identical no matter what carrier you use. So, if you don't see your carrier above, but you want to see if they support landline texting, just try it out yourself and see what happens. The result is that you'll either get a text back that asks you to confirm the charge to text the landline or you'll be told that your carrier doesn't support the feature.